Attending Harry Potter events and meeting Harry Potter celebrities are two of the most amazing experiences for any Potterhead. If you have never been to a Harry Potter event, you need to get one on your calendar ASAP! Hardly anything rivals the electricity of being surrounded by Harry Potter fans that are as passionate about the fandom as you are. I created a masterlist of Harry Potter events and celebrity appearances for the 2017 year so you can find a Harry Potter event or celebrity near you! 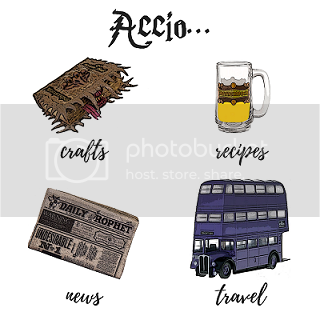 You can download it here: Harry Potter Events & Appearances Masterlist. I’ll be updating this document periodically, so be sure to drop your email in the box below this post if you want to receive the updates. Harry Potter fans are the nicest group of people that I have ever met. No matter your background, your status, your age… you will be accepted and included by other Harry Potter fans. You can be your true, authentic self and nobody will judge you for it. I have seen some absolutely amazing Harry Potter costumes over the past few years! Boggart Snape, Hagrid with a pink umbrella, a full bodied snitch, male Beauxbatons… it’s super hard not to geek out and get excited when you see them. Inevitably at one of these events you will be waiting for something exciting to happen in a crowd or in a line. The excitement in the air is so contagious! In the muggle world people do not get excited about the opportunity to play Quidditch, to see a prop from a film, or for Tom Felton to appear onstage. It’s fun to be surrounded by other people who get excited by the same things that you do! A lot of Harry Potter events go all out to create a Harry Potter atmosphere! Being surrounded by house banners, cups of butterbeer, people carrying wands, and even streets made to look like Diagon Alley makes it a fully immersive experience. It’s almost like you apparated right into the magical world! Major Harry Potter events, like the Celebration of Harry Potter, and comic cons around the world will have celebrities in attendance. Being able to see your favorite Harry Potter actor in real life is a surreal experience! A lot of conventions even give you the opportunity to meet and take photographs with them! Full disclosure: these events can be very addicting. Once you attend your first Harry Potter event, I guarantee you’ll be searching for the next! The Fantastic Beasts 2 trailer dropped today and we are more excited than when Harry Potter first stepped into the magical world! The trailer is amazing! I cannot wait to see the movie! !